6:30pm – Bhogi Pallu – Kids under he age of 12 are blessed by their parents/elders and the priest. Sri Dattatreya Pallaki Seva : Every day at Ganagapur, Pallaki Seva (Palanquin of the Lord Datta) of the Lord Datta takes place around 7:30 pm to 8:30 pm, The Palanquin Circumambulates the Temple along with Chanting, Singing, and Bhajans, hymns in praise of the Lord Datta and the Devotees performing this seva have an opportunity of sitting in front of the Deity of Shri Datta (Utsav Murti which will be kept in Pallaki) exquisitely decorated with Flowers. Devotees performing the seva take a position of Saashtanga pranama. Pallaki will move on top of them. Devotees feel that all doshas and graha peeda will be cured and ill health will be cured by doing this seva. After the 3 rounds (With Bhajans) around the Sanctum the Utsav Murti is placed inside. Devotees can offer Bhiksha in the form of monetary donations during seva. We will perform this in AnaghaDatta temple. Join us in this once a year tradition. 10:00am – Karthika poornima 365 wicks diya lighting. Each diya has 365 wicks, and will be provided by the mandir – Don’t bring diya or wick from home. Please donate $21 towards this. Please book your slots at the earliest by calling or texting 403-922-4299 or calling mandir phone number 403-668-0653. There are limited slots. Please book early to avoid disappointment. This will start at 10:30am and will go on till 9pm at night. Each slot is for half hour only, please come as per your alloted time. 8:00pm – Sahasra Deepalankarana (1000 diyas) in the shape of Kailasa Prakara. As you all know till last year temple used to perform this deepalankarna with 365 diyas. 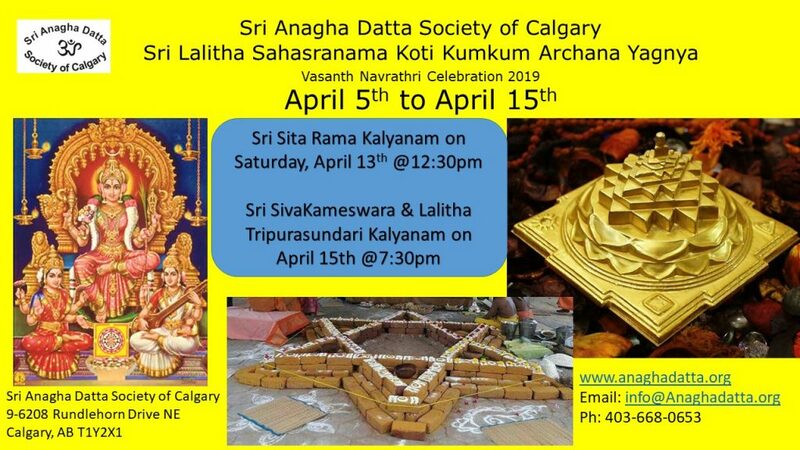 Due to the increase in devotees and the request for opportunities for everyone to light the diya, this year we are planning for performing doing 1000 diyas as this event has become so popular. 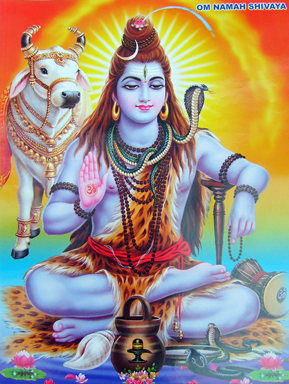 Please attend and seek blessings of Lord Shiva on this auspicious occasion. Please join us for the upcoming festivals. Sahasra Pushpa Alankarar for Devi ma (Adorn with 1000 flowers with 108 names of Maha Laxmi devi, Kanakadhara stotra, Sree Suktham and Durga Suktham followed by Aarthi / Mantrapushpam ). Please sponsor for Sahasrapushpalankar by donating $25 minimum towards flowers. We are looking to get 50 Rose bouquets in total. Each bouquet (Costco) will have 24 flowers. Mandir will be ordering flowers. So please contribute $25 minimum (along with your gothra namas to us before Diwali) for one bouquet or more as per your wish to make this special event possible for all devotees. 7:30pm – Lakshmi puja – Saharsa Pushpa Alankar followed By lighting Diyas on Baba stage. 8:30pm – Having fun with Diwali sparklers. 6:00 pm Special Baba Abhishek. 8:30 pm – Shej aarti. We need 10 volunteers on November 21st starting at 7:30pm to help us arrange the 1000 Karthika poornima diyas. Please confirm your availability by calling panditji at the temple.